Medicinal Mushrooms from MushroomScience® U.S.A. Medicinal Mushrooms from MushroomScience® (JHS Natural Products U.S.A.) made by traditional Hot water extraction. MushroomScience® has provided medical doctors with the highest potency mushroom extracts since 1994. Now they are available to you. The only way to release the beneficial polysaccharides (beta glucans) in mushrooms is by Hot water extraction. The beneficial polysaccharides cannot be released in significant quantity by grinding dried mushroom or mycelium into powder or preparing tinctures with alcohol. Verified by thousands of scientific studies on immune health, only hot water extraction can break the chitinous cell wall and release the bio-active polysaccharides. This hot water process allows us to concentrate the active compounds to levels that are 25 to 35 times stronger than what is found in the dried mushrooms or mycelium bio-mass, and at least 20 times stronger than the levels of actives found in hydro-alcohol liquid extracts. MushroomScience extracts are the only guaranteed high-potency mushroom extract made in the US today. They are grown on wood in the traditional method and are free of chemicals of any kind. For optimum health, insist upon MushroomScience extracts. 100% of all clinical research: Hot water extraction has been used in every one of the thousands of clinical studies using mushrooms for immune health. 100% of all traditional formulas: Hot water extraction has been, and is today, used in every mushroom preparation in traditional herbalism. 100% potency: Only hot water extraction can produce active compounds that are 25 to 35 times stronger than un-extracted products and 20 times stronger than alcohol extracts. That is why MushroomScience are the most potent mushroom health products available anywhere! MaitakeGold404™ was developed by Hiroaki Nanba professor of microbiology and expert mycologist at Kobe Pharmaceutical University in Japan. 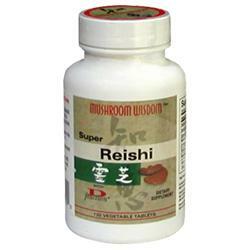 He has twenty years of research into medicinal mushrooms and fifteen years on Maitake mushrooms. His research led him to the discover what he named “D fraction” extract, derived from maitake, which significant research has indicated has antitumor and immunopotentiating (immune-enhancing) activity. He since discovered a most important advance on the original extract. The D fraction extract contained an inhibitory substance, or “float”, that actually had anti-immunopotentiating action. By removing the float, the D fraction activity is improved by at least 30 percent. This new discovery was so significant that he in 1998 was awarded a US Patent #5,854,404 on this development. This improved extract is known as “MD fraction” and is sold under the name MaitakeGold404™ This is the only maitake product based on his scientific research and his innovations in the field of medicinal mushrooms, and the only maitake he endorses. Extracted from the highest quality organic Maitake mushrooms, the liquid form is especially helpful for people who have trouble swallowing tablets or capsules. Provides cellular protection and enhances immune function. The book also includes the results of clinical studies. Imumme builder is the only supplement available outside Japan that combines 100% hot water extracts of Coriolus, Reishi , MaitakeGold404, Cordyceps, Shitake, and Aqaricus blazei. Potency and bioavailability is not compromised by adding ground-up mushrooms or un-extracted mycelium biomass*. This is a potent immune stimulant recommended for anyone with a compromised immune system. Nature’s most powerful beta 1-6 glucan Found in the rain forests of Brazil, Aqarius blazei has a long history of use by native herbalists. Its unique beta 1-6 linkage gives it the highest level of beta glucans of any mushroom tested to date. And with 45% beta glucans, MushroomScience’s extract contains the highest potency possible in an Aqaricus supplement. Studies have shown that various beta-glucans enhance the immune response. One example is purified beta-glucans from common bakers yeast ( Saccharomyces cerevisiae). One can also find beta-glucans in certain foods such as oats and barley, although these kinds have little effect on the immune system ( they can, however, help lower cholesterol and blood sugar levels). The unique beta-glucan structure of of the MaitakeGold404® is one of the most powerful ways to naturally activate the immune system. A healthy functioning immune system is critical to remaining disease free.Without our even being aware of it, our immune system is destroying cancer cells on a daily basis. In addition, immune cells are on constant surveillance for invading intruders such as viruses, bacteria, fungi, parasites, and a host of infectious organisms. This battle with cancer cells and microbes is one for which your immune system is designed and is able to handle. However , diet , lifestyle, environmental toxins, stress, and other factors ( many of which are controllable) tend to suppress immune function. It is easier to prevent cancer or serious infection than to treat them. MushroomSciences Medicinal Mushrooms supplements should be taken on a regular basis to support immune function as well as to promote detoxication.